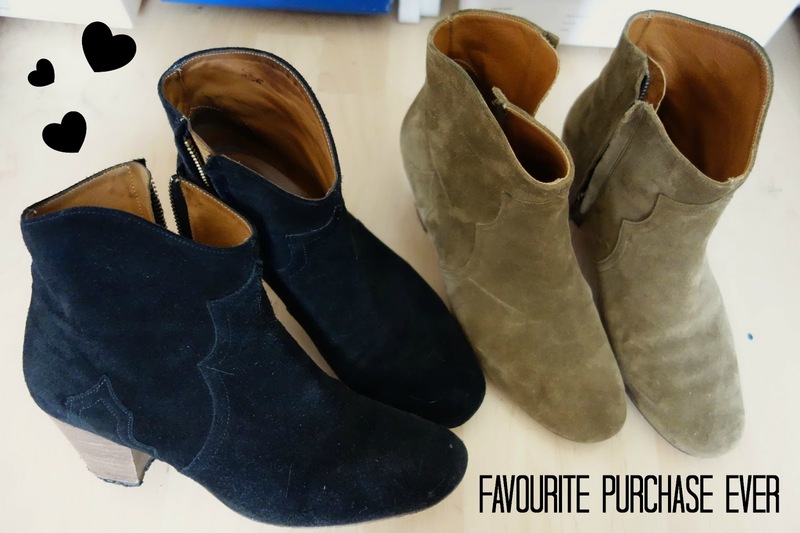 1. isabel marant dicker boots. words cannot convey how much i adore these boots. they go with literally everything, from jeans to playsuits to dresses. when i don’t know what to wear, they’re my first choice. worth every penny and i’d happily buy them ten times over, ahhhh it’s love. 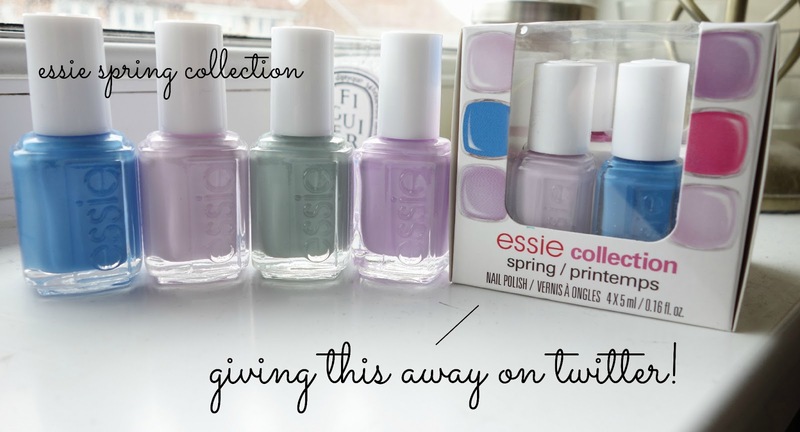 2. essie’s spring collection. how perfect is this collection? being a lover of cool toned polish, lilac being a current favourite, i think it might have been made for me. when i ordered the bottles for my nail polish drawers, i also picked up some mini’s to give away on twitter. click here to simply follow and RT. 3. 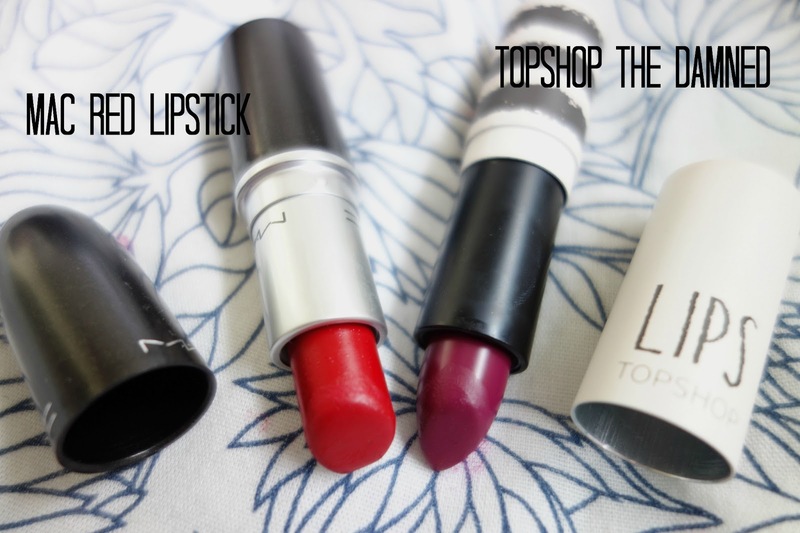 MAC’s red and topshop’s the dammed lipsticks. one is a long standing obsession and the other is a new addition. the damned is quite similar to MAC’s rebel (see comparison swatch here) but slightly more pink, which i love. as for the red, who doesn’t need a good red lipstick in their lives? 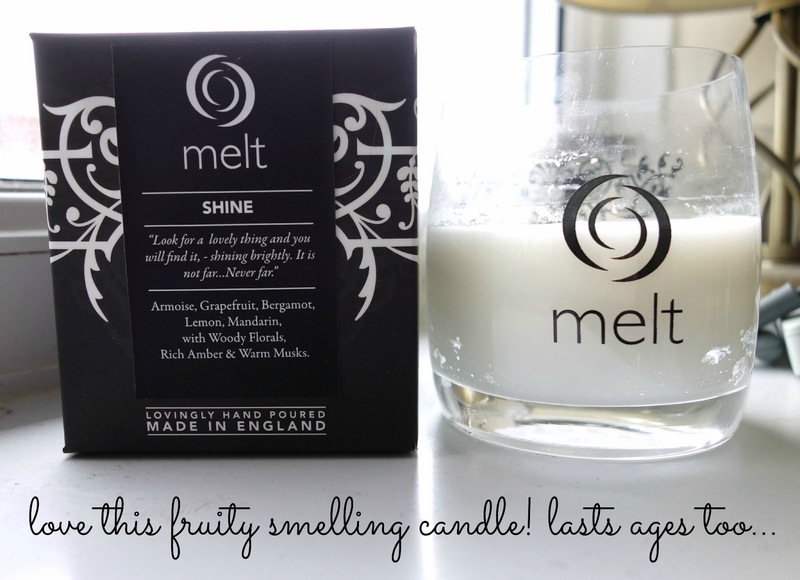 4. melt candle in ‘shine’*. i wanted to try this a few times before writing a mini review, but i can say i’m rather impressed. at first, the scent was really strong (almost overpowering) and reminded me of fruity shower gel, but after burning it for a few hours it mellowed out into a warm fruity scent. you can definitely smell the grapefruit the most, which is refreshing from typical ‘fruity’ candles. it claims to burn for up to 70 hours which i think is quite accurate, i’ve had mine going for at least 5 hours at a time and it’s barely made a dent. 5. structure hair treatment* and michael mercier brush*. i think my hair is almost due a trim, so it’s starting to look slightly raggy at the ends. it would usually be much worse than it is, but i think these two little gems have been helping keep it smooth recently. 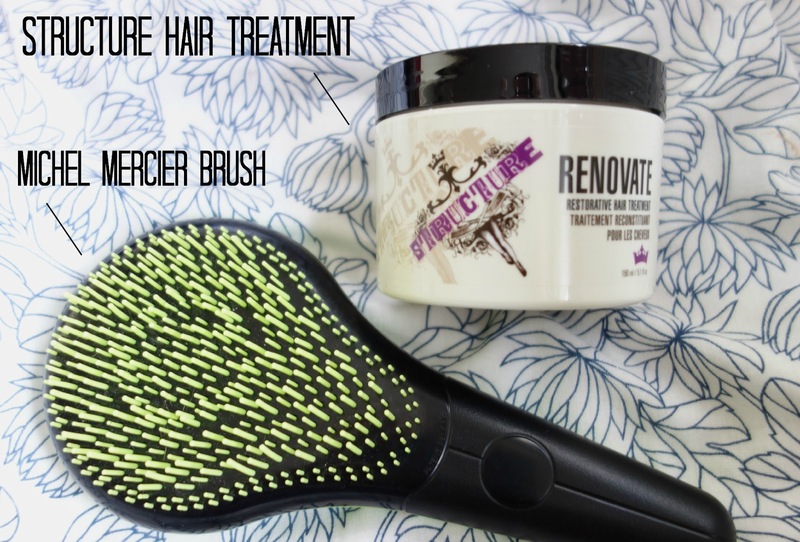 structure’s renovate hair treatment is really deep conditioning and leaves my hair soft yet strong feeling. it has quite an unexpected scent, ie. it smells like a kitchen spice cupboard, but it doesn’t linger too long on the hair. you only need a teeny amount too, so it’ll last quite a while! with my hair being long, i feel like it gets knotty sometimes when i blowdry it, so this michel mercier brush has really been helping take them out without pulling my hair or hurting. it’s for ‘normal’ hair, but there’s other variations for different hair types. it sort of reminds me of a tangle teezer, but much better as it has a handle! ps. check out the lovely amy’s blog for some style inspiration and georgia’s blog for some beauty reviews and more.